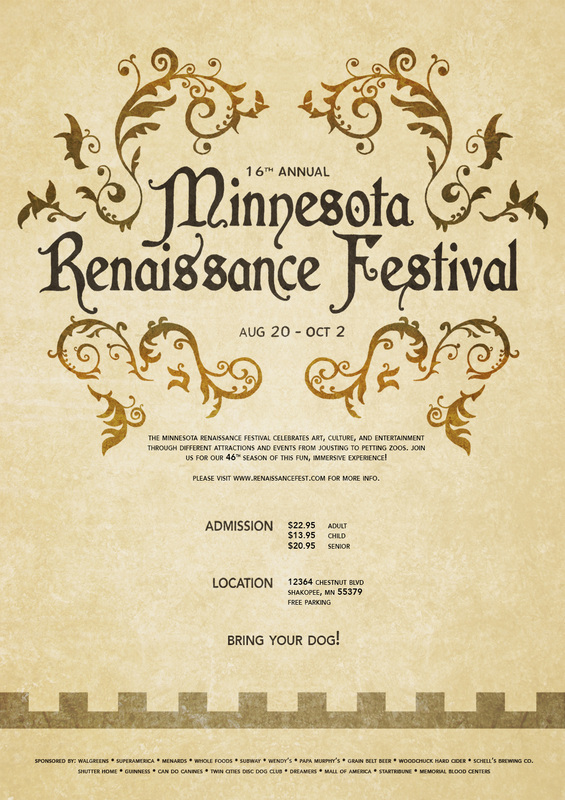 Mock designs for the 2016 Minnesota Renaissance Festival. My biggest struggle with these posters was tackling the type. 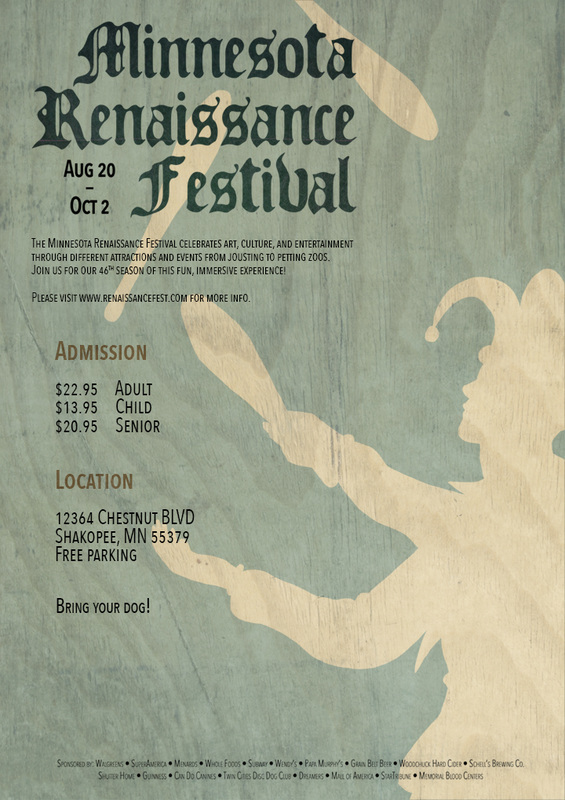 I haven't had much experience with using text in the past, so creating these posters was good practice for me. 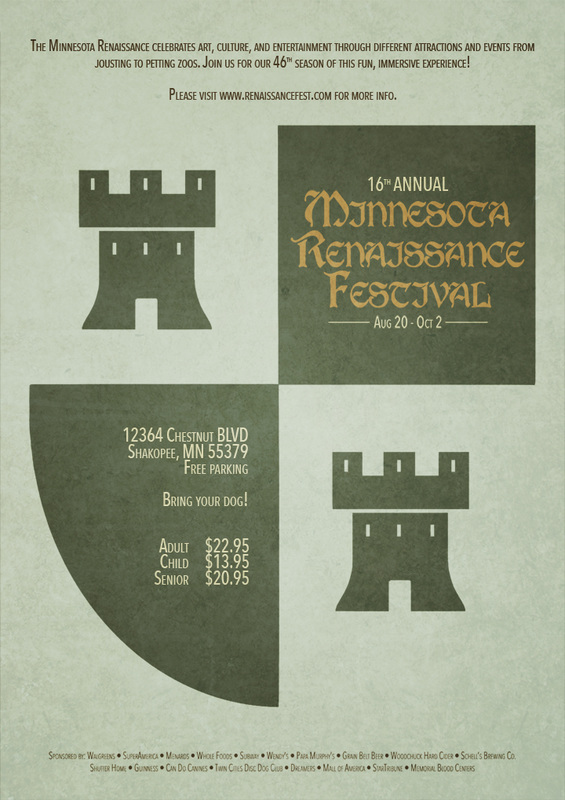 It was also important to me that I incorporated illustrative elements without solely relying on illustration, which allowed me to highlight iconic imagery from medieval art and culture in a simple, eye-catching way.